Every now and then there is a blog post that just sits in the drafts folder as a title, waiting to be written, but it's just too hard to do it justice. Well this is one of those. The reason it is just Part 1 is that there is no point reviewing a product like Dermaviduals on a one-off basis. I could write about how much I love the products I was given to try, I've already written about how great the Face It Clinic is where I first tried Dermaviduals out, but the whole point of the Dermaviduals range is that it becomes not only the only skin care that you will ever need, but tailored to your skin and you just can't do that sort of thing in one sitting. 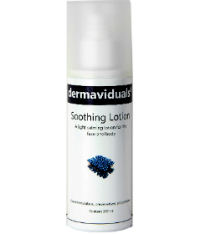 Dermaviduals is a German brand developed by a chemist with an interest in skin. Face It Clinic have been test driving it for 2 years and are really impressed with the way the dermamembrane structure (DMS) technology works - putting back into skin what life takes out by replicating the skin barrier. The vitamins and minerals that your skin needs are added to the DMS base cream so that is completely bespoke. Everything from Vitamins A, C and E concentrates, to Butcher's Broom for redness and Boswella for age repair can be added and all sorts of skin problems treated - ageing, eczema, acne, rosacia, pigmentation. You'll have to read my review of the wonderful Face It Clinic in Highgate to find out more about my experience there and then you'll know that it didn't get off to a fantastic start with me being quite late and nearly missing my appointment. What I loved though was how, despite getting off on slightly the wrong foot, you couldn't dampen Donna's passion for skincare and soon we were discussing my skin, what it needs and even how it works. With my skin we discussed my eczema - which I've never had on my face but will affect the skin on my face as your skin is a whole organism (something I've never really thought about before, I just think of eczema as existing in patches). Eczema means my skin is missing some oils which would need to be replaced but also the fact that I had a three month old baby that I was still breast-feeding would also affect my skin. The best thing for me to do would be to try some of the 'off-the-shelf' Dermaviduals products, see how they worked and then go back for a consultation. 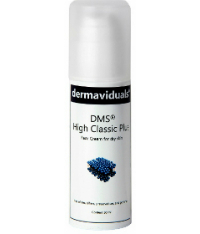 and DMS High Classic Plus moisturiser and used these exclusively twice a day as instructed and low and behold my annoying red non-spot spots that I'd had since having Ned completely went away. My skin felt moisturised properly even though the moisturiser itself doesn't feel that thick at all. I was seriously impressed by these products - even more so that since they ran out and I've stopped using them the spots have returned. I will definitely be going back for my consultation. A consultation at Face It Clinic is £45, £25 of which goes towards the purchase of products. You will have a full consultation where your make-up is removed and your skin really looked at as well as your skins history discussed - what your parents skin is like, siblings skin, and problems you've experienced or think you've had. 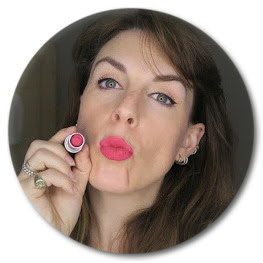 I am a make-up artist but I cannot stress how important it is to treat your skin well - you can spend hundreds of pounds on make-up to cover up problems but it is much easier, healthier and cheaper to treat the problem itself rather than try to cover it up.